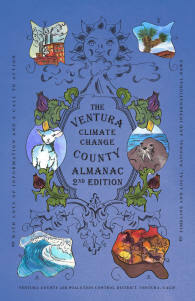 Download the Ventura County Climate Change Almanac 2nd Edition. One of our most popular pieces, it contains local, state, national, and international information. Since November 11, 2008, the Board has awarded school bus grants totaling $4,924,674 to the following school districts and Durham Transportation Services: Fillmore, Moorpark, Ocean View, Ojai, Pleasant Valley, Rio, Simi Valley, Somis, and Ventura. 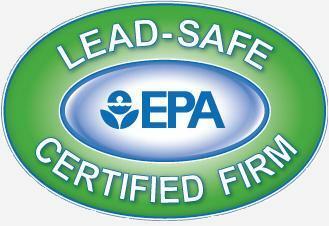 For Basic Information and Resources on lead including: health effects; where lead is found; and what to do when buying, renting, or renovating homes built before 1978, click the icon below. To learn what you can do to prevent lead poisoning in your home, in your school, on the job, during a home renovation, or as a property manager/landlord, click the icon below. To protect public health and agriculture from the adverse effects of air pollution by identifying air pollution problems and developing a comprehensive program to achieve and maintain state and federal air quality standards. Year 21 (2019) Carl Moyer Program, Year 2 FARMER Program, and Year 2 Community Air Protection Program combined applications are now available! Please submit your application as soon as possible, but no later than June 12, 2019. Click HERE for more information. AB 617 is likely the most significant air quality legislation in the past 30 years and provides a new vision and call to action to ensure that all communities benefit from California’s clean air programs. AB 617 builds on the foundation of existing air quality legislation by providing additional tools to target actions in communities that bear the greatest air emission related burdens. This first-of-its-kind effort adds a new community-focused planning framework including community air monitoring, emissions reduction programs, and support for early actions through targeted incentive funding to deploy cleaner technologies in these communities. AB 617 also includes new requirements that help advance our air pollution control efforts throughout the state through accelerated retrofit of pollution controls on industrial sources, increased penalty fees, and greater transparency and availability of air quality and emissions data. 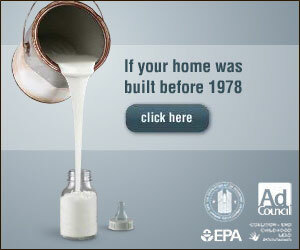 For more information go to Community Air Protection (AB 617) page. Ventura County will be experiencing very cold nighttime and early mornings with the possibility of near or below freezing temperatures. The Ventura County Air Pollution Control District (District) considers the well-being of the agricultural community a priority. In consideration of this, the District, in conjunction with the Ventura County Fire Department (VCFD), will allow small warming fires for the sole purpose of raising the temperature within the orchard or crop to prevent freezing. The VCFD has posted an “Approval for Orchard / Crop Warming Fires” Advisory on their website (link below). This advisory details specific guidelines and limitations for the interim use of these small warming fires used solely for the raising the temperature within the orchard or crop to prevent freezing. If you have any questions, please contact your local fire station at (805) 371-1111, VCFD Fire Prevention counter at (805) 389-9738 or VCAPCD at (805) 662-6960. APCD Issues a Compliance Assistance Advisory and a new Implementation and Enforcement Policy Guide for the new State Greenhouse Gas (GHG) Regulation for crude oil and natural gas facilities. The regulation, officially known as “Greenhouse Gas Emission Standards for Crude Oil and Natural Gas Facilities”, This regulation applies to all on-shore facilities in Ventura County. However, much equipment and many components in Ventura County are exempt from portions of the regulation. Additionally, some portions of existing VCAPCD Rules may be more stringent than portions of the ARB GHG Regulation. The District created an implementation document in order to provide guidance to staff, the public and the regulated community when implementing, enforcing or complying with the ARB GHG Regulation. To view a copy of the ARB GHG Regulation for crude oil and natural gas facilities click here. Please see the Advisory or the Implementation Guide for more details. regarding debris removal at residential sites that were affected by the recent Woolsey Fire. APCD Issues a Compliance Assistance Advisory regarding the new State greenhouse gas regulation for crude oil and natural gas facilities. The regulation, officially known as “Greenhouse Gas Standards for Crude Oil and Natural Gas Facilities”, applies to owners or operators of equipment and components associated with crude oil and natural gas production; crude oil, condensate and produced water separation and storage; natural gas underground storage, gas gathering and boosting stations, processing plants, and transmission compressor stations. The regulation establishes emission standards that are achieved by: meeting equipment standards for various equipment and processes; leak detection and repair (LDAR) requirements; and vapor collection system and vapor control requirements. It applies to all on-shore facilities in Ventura County. 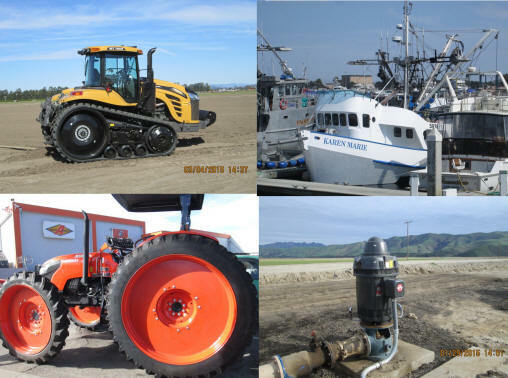 While much existing equipment and many components in Ventura County are exempt from portions of the regulation, the new regulation requires owners or operators to register equipment with the California Air Resources Board (ARB) and to submit reports to ARB. The reports were due to be submitted to ARB no later than January 1, 2018. However ARB will be using its enforcement discretion to allow this information to be reported no later than July 1, 2018. Please see the Advisory for more details and contact ARB if you have any questions regarding the reporting. regarding debris removal at residential sites that were affected by the recent Thomas Fire. (Ventura County, California) -- Please be aware that the Ventura County Public Health Department and the Air Pollution Control District are strongly recommending NO USE OF LEAFBLOWERS UNTIL FURTHER NOTICE. No ash clean-up at residential and commercial properties should occur until this health notice is changed. In accordance with Ventura County APCD Rule 26.9, “New Source Review - Power Plants”, and Rule 26.7, “New Source Review - Notification”, notice is hereby given that a final decision has been made to issue a Preliminary Determination of Compliance (PDOC) to the Mission Rock Energy Center (Application No. 08308-100). This project proposes the installation of a nominal 275 megawatt natural gas-fired simple-cycle gas turbine power plant at 1025 Mission Rock Road in Santa Paula, CA. See this link for more information and the PDOC. APCD Issues a Compliance Assistance Advisory regarding breakdown conditions and voluntary curtailment of electrical service. APCD Rule 32, “Breakdown Conditions; Emergency Variances”, allows for, under certain conditions, breakdowns of air pollution control devices and continuous emissions monitoring systems where the operator will be allowed temporary relief from District enforcement action. Electricity providers have historically offered reduced electrical service rates for account holders who agree to participate in a program that would allow periodic curtailment of electrical service to a particular facility in exchange for a reduced electric service rate. According to District policy, voluntary curtailment of electrical service due to contractual obligation is not an “unforeseeable failure or malfunction” and such a curtailment does not meet definition of a breakdown, as defined in APCD Rule 32. District will no longer accept any voluntary electrical curtailment as a breakdown and the operator will not be afforded relief from District enforcement action if a violation occurs as a result of such a curtailment. The Ventura County Air Pollution Control Board adopted the 2016 Ventura County Air Quality Management Plan (AQMP) on February 14, 2017. The 2016 AQMP presents Ventura County’s strategy (including related mandated elements) to attain the 2008 federal 8-hour ozone standard by 2020, as required by the federal Clean Air Act Amendments of 1990 and applicable U.S. EPA clean air regulations. Photochemical air quality modeling and related analyses, including a Weight of Evidence assessment conducted for the 2016 AQMP, indicate that Ventura County will attain the 2008 federal 8-hour ozone standard by 2020 using local, state, and federal clean air programs. Similarly, the required Reasonable Further Progress (RFP) demonstration shows that Ventura County will achieve the required annual incremental emissions reductions for the purpose of ensuring attainment by the attainment year. To view and download of the 2016 AQMP, please click here. New Compliance Assistance Advisory: APCD to Temporarily Suspend Enforcement of the Upcoming 2017 Fleet Emission Standards and Fleet Reporting Requirements for Portable Diesel Engine Fleets. APCD Issues a Compliance Assistance Advisory directed at owners and operators of portable diesel engine fleets. The California Air Resources Board (ARB) has determined that widespread compliance with the upcoming 2017 Fleet Average Emission Standard and associated reporting requirements in the state’s Airborne Toxic Control Measure for Diesel Particulate Matter from Portable Engines (ATCM) may not be feasible. In light of the uncertainty regarding the 2017 standard (and 2020 standard), ARB intends to revise the ATCM. ARB has asked local air districts to temporarily suspend enforcement of sections of the ATCM related to the upcoming fleet average emission standard and associated reporting requirements until the regulation can be revised and approved by its governing Board. This applies to all portable diesel engines whether they are registered with the Statewide Portable Engine Registration Program (PERP), or operating under an APCD Permit to Operate. To that effect, ARB has released Advisory Number 347, informing the regulated community of its intent to suspend enforcement and revise the ATCM. You can download a copy of Advisory Number 347 here. The Year 20 (2018) Carl Moyer application period is now closed. Year 21 applications will be available in early spring 2019. The Carl Moyer Memorial Air Quality Standards Attainment Program (Carl Moyer Program) is an incentive program offered jointly by the California Air Resources Board and California’s local air districts that provides grants for cleaner-than-required engines and equipment to help improve air quality in California. The grants are administered by the local air districts. The program is named after the late Dr. Carl Moyer in recognition of his work in the air quality field and his efforts in bringing about this incentive program. Details of the Ventura County Carl Moyer Program can be found here. APCD issues a Compliance Assistance Advisory regarding the June 23, 2015 revisions to APCD Rule 74.15.1 Boilers, Steam Generators and Process Heaters. The revised rule includes a number of changes, including new emission limits and testing requirements for a number of applicable units. The Advisory address a number of those changes. Check out the latest Air Streams video for 2015! See what local businesses, individuals and agencies are doing to clean the air and help the environment. From a Thousand Oaks wastewater treatment plant to an Oxnard electric vehicle charging station; from a solar rooftop in Ventura to an Ojai oil field; from a LEED certified building to a “green” veterinary hospital, find out what’s happening on the clean air front in Ventura County. Questions are often raised about what constitutes portable versus stationary operation of equipment. 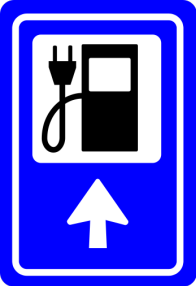 The PERP regulation defines portable operation and stationary sources. There are some specific circumstances where, depending on each situation, the use of PERP-registered units may not be compatible with the objectives of PERP and the District. These determinations are very fact dependent, so we recommend you contact the District with questions about whether your portable equipment operation requires a District permit or can use PERP registration. Replacing Tier 1 & Tier 2 Ag Engines: Check Before You Buy! APCD issues a Compliance Assistance Advisory regarding the California Air Resources Board’s Air Toxic Control Measure for Stationary Compression Ignition Engines (ATCM) requirement to replace Tier 1 and Tier 2 diesel Ag engines. The ATCM prohibits the operation of Tier 1 and Tier 2 agricultural engines after December 31, 2014 for engines rated at 175 BHP or greater and December 31, 2015 for engines rated at 50 to 174 BHP. Check before you buy! This advisory informs owners or operators of Tier 1 & Tier 2 Ag engines that not all Tier 4 or Interim Tier 4 diesel engines will meet the upcoming ATCM emission standards, and advises them to check before they buy a new engine. The upcoming emission standards are contained in the advisory. Another option is to buy an electric motor instead of a diesel engine. There will be a limited amount of funding available to qualified applicants to help purchase a new diesel engine, or electric motor. All Ag engines 50 horsepower and greater, including new replacement engines, are required to be registered with the APCD. For information on the District’s agricultural engine registration program please click here. For the District's "Engine Location Change Policy Memo" and notification form, click here. APCD Issues a Compliance Assistance Advisory directed at owners and operators of portable diesel engines who have not yet complied with the state’s Airborne Toxic Control Measure (ATCM) for Diesel Particulate Matter from Portable Engines reporting requirements, or who have fleets that do not meet the fleet emission requirements. 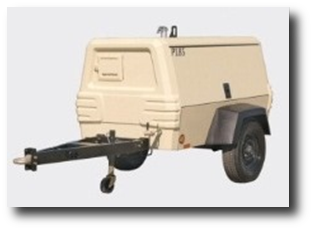 These requirements apply to all portable diesel engines whether they are registered with the Statewide Portable Engine Registration Program (PERP), or operating under an APCD Permit to Operate. To view film, click here. 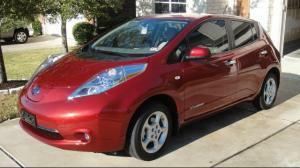 The Ventura County APCD Electric Vehicle Rebate Funds have been depleted and are no longer available. APCD has stopped issuing reservations. Please contact Stan Cowen at (805) 645-1408 or stan@vcapcd.org if you have any questions. We do not anticipate any new funds for this program in the foreseeable future. APCD issues a Compliance Assistance Advisory regarding the January 1, 2014 compliance date for manufacturers, suppliers and installers of large water heaters and small boilers. On September 11, 2012, the Ventura County Air Pollution Control Board amended Rule 74.11.1, Large Water Heaters and Small Boilers. The amended Rule includes a reduction to emission limits from natural gas-fired large water heaters and small boilers. Only those units that meet the new emission limits may be sold, offered for sale or installed in Ventura County. Manufacturers of water heaters, boilers, steam generators and process heaters are required to have them certified by the Ventura County APCD before they may be sold in Ventura County. Only those units meeting the emission limits specified in the rule can be sold, offered for sale or installed in Ventura County. Persons selling, offering for sale or installing non-compliant units may be subject to enforcement action by the Ventura County APCD and possible civil penalties.